The federal government has created a committee to help tackle gender-based violence at post-secondary schools across the country. The Honourable Maryam Monsef, Minister for Women and Gender Equality, convened the committee as part of the first-ever federal Strategy to Prevent and Address Gender-Based Violence, which was allocated about $5.5 million in 2018. “Currently, there is no national framework to prevent something no parent or student should experience. Despite the work done to date, the staggering rates of sexual violence on Canadian campuses remain,” wrote Monsef in a statement. 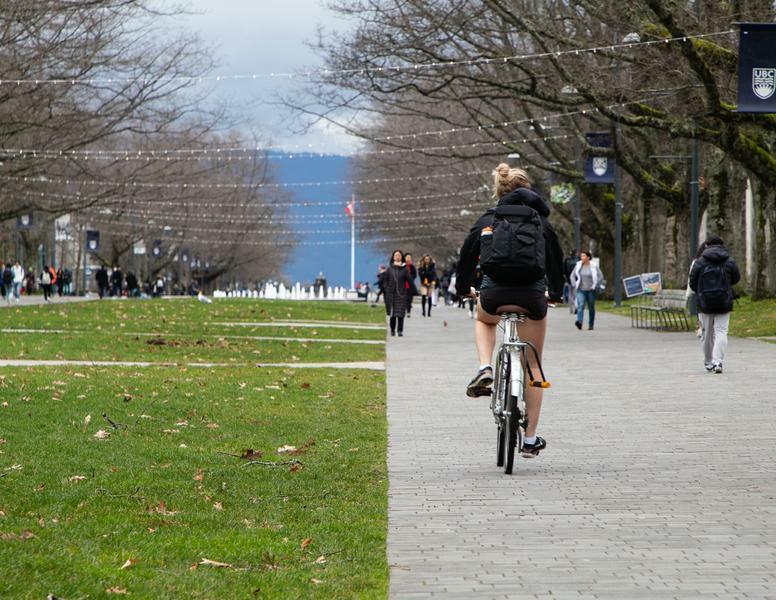 Myrna McCallum, who has been the director of investigations under UBC’s sexual assault and discrimination policies since mid-2017, will be serving on the committee. Almost 30 members — including educators, administrators, students and survivors — will be providing advice and feedback on the development, consultation, and implementation of this national framework. Dr. Lucia Lorenzi, who now works at McMaster University but previously served on the expert panel that helped UBC develop its own sexual assault policy, will also sit on the committee. “It is reassuring to see that the federal government is taking this first step in making a nation-wide call to action and creating a plan,” AMS VP External Cristina Ilnitchi, who has made it a priority over the past year to lobby on sexualized violence issues, wrote in a statement. Gender-based and sexualized violence disproportionately affects women aged 15 to 24, with campuses posing a particular issue. Data from Statistics Canada shows that in 2014, 41 per cent of all sexual assaults in Canada were reported by students. To McCallum, nationwide progress on this issue will look like deepening the knowledge on gender-based violence. “Education is key for all faculty, staff and students, and understanding what the root causes are of sexual violence and how to recognize trauma in people who've been subjected to sexual violence,” she said. “The AMS hopes that the Strategy will address education, policy frameworks with minimum standards, and supports and services, to cultivate a consistent, robust, and sustainable approach to ending gender-based violence that is so desperately needed at post-secondary institutions,” wrote Ilnitchi. The new advisory committee held its inaugural meeting Wednesday in Montreal. They will continue to meet over the next few days to hammer out how the committee will bridge national distances. More specific working groups will tackle certain issues — for example, McCallum will work on reporting and investigations.